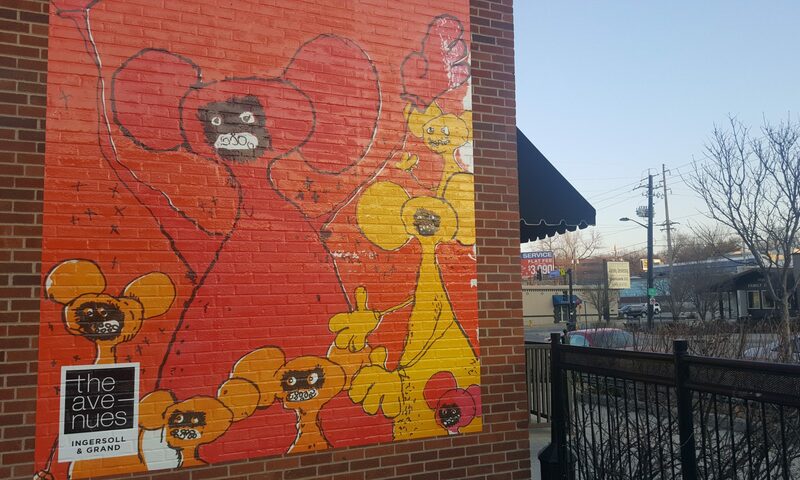 The East Village neighborhood in Des Moines is a great place if you’re looking for a bite to eat, wanting to get work done in a peaceful setting, or try something new. Cooking with Alessandra—If you’re a foodie and enjoy cooking Italian dishes, these classes are perfect for you! Alessandra offers both public and private classes. Public classes cost $45 per person, and private group classes (10-18 people) are $50 per person. Participants can cook anything from Gnocchi and Chicken Spiedini to various pasta sauces. Plus, you’ll learn from Alessandra, an Italian cooking expert who grew up creating these dishes. Classes are held in Alessandra’s home. Brenton Skating Plaza—You may have been ice skating at this magical outdoor plaza, but did you know there are also concerts and various events held here in the summer? There’s everything from country and rock concerts to group yoga classes! Grab your friends and family, and enjoy this beautiful venue overlooking the river year ‘round. Address: 520 Robert D. Ray Dr. Plain Talk Books and Coffee—A quaint, old-school coffee shop and neighborhood bookstore, this gem is ideal for studying, catching up with a friend, and those who love reading. They offer a full menu for breakfast and lunch and occasionally have live music! Address: 602 East Grand Ave.
Railroad Bill’s Dining Car—If you’re a brunch lover, this is the diner for you! Located in the Northwest corner of East Village, Railroad Bill’s is fast, filling, delicious and budget-friendly. They include vegetarian and vegan dishes on the menu, so there’s something for everyone to savor. Aimee—East Village is home to many unique and stylish clothing stores! Ideal for a day of shopping in the neighborhood, Aimee boutique offers feminine, chic, and European-style clothing. This fashion-forward store is truly a hidden gem in the East Village Neighborhood. Whether you’re a college student or retired, East Village has something for everyone to enjoy. Although these are just some of the best spots in the neighborhood, there are many more to be discovered. 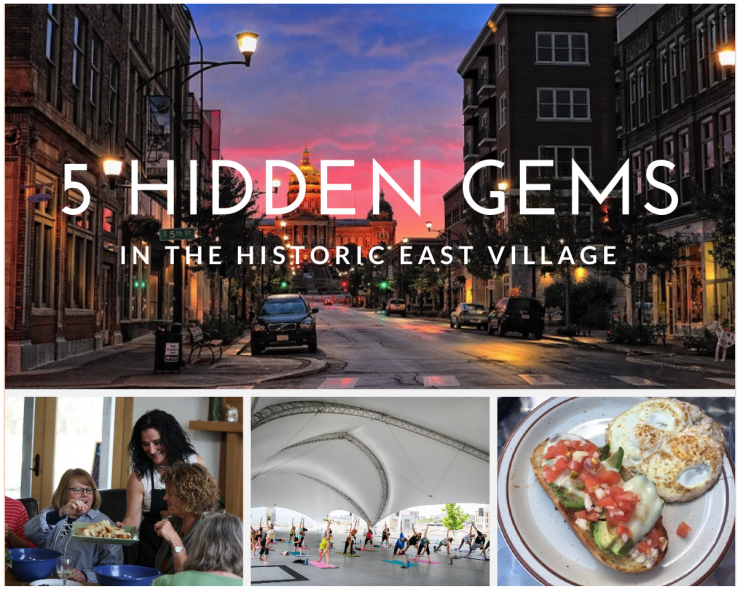 To learn about more events, restaurants, and shops in East Village, visit https://eastvillagedesmoines.com. Next PostNext Do You Wanna Go Ghost Hunting on Saturday?